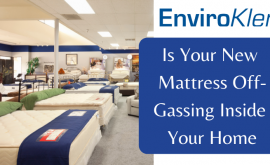 HomeRemove Chemical Odors & VOCsDo You Know What Toxic Chemicals Lurk Within Your Clothing? Do You Know What Toxic Chemicals Lurk Within Your Clothing? The clothing that hangs on the rack in stores is colorfully displayed for customers with the intent that it will lure patrons in to purchase these items. Some people will quickly grab the clothing, knowing they will purchase it, while others will swiftly go to the try-on room to see what they think of it on their body. During the process of trying on new clothes, you are exposing your body to a plethora of chemicals that can permeate your skin. This can further lead to absorption of the chemicals from the skin into your body – which your body must process and eliminate. While the connection between toxins in your clothing and health issues is a little bit foggy, the studies that have been conducted against these chemicals found in the manufacturing of clothing have shown to be quite hazardous to public health and can include the development of cancer over a period of time. Although this is an extremely rare potential health effect, the likely health effects from these chemicals can range from allergic reactions to irritation to humans. So, the question becomes what chemicals exactly are lurking within your clothing and what can you do to protect yourself from these potentially toxic chemicals? Did you know that the clothing industry is one of the most polluting industries on the planet? The textiles that this industry produces can be laced with irritants and disease-causing chemicals that can impact the health of an individual. The average piece of clothing is typically made from potentially allergenic materials such as latex, lycra, or spandex, but it also may be contaminated with a variety of chemicals which are used during the manufacturing process. 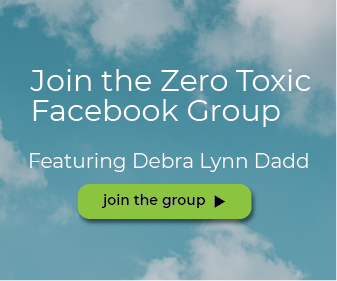 There have been many public issues surrounding the dangers of toxic clothing including the 2016 issue with American Airlines. American Airlines created new uniforms for more than 70,000 employees, but soon after reports began surfacing that many of the workers for the airline were becoming sick from the material of the new uniforms. Although this may seem like an unusual anomaly, it’s not unheard of for clothing to make people sick. The level of toxicity your clothing harbors is not to be underestimated, as the increased health risks are scary! Many textiles contain an amalgam of potentially hazardous chemicals from chlorine bleach, to formaldehyde, and even VOCs. Clothing is placed on the skin, exposing one of the body’s largest organs to severe hazards. The skin contains millions of tiny pores that have considerable absorption capabilities which are able to retain the chemicals that are present on the clothing and collect them on the skin – with the potential for the chemicals to enter into the body and bloodstream. The chemicals in clothing have been linked to health issues that can include neurotoxicity, liver, kidney, and lung disorders, and cancer – however, these symptoms are associated with long-term exposure. Whereas short-term exposure can lead to allergic reactions, skin irritation, and respiratory irritation. Azo Dyes: A very common synthetic dye, Azo Dyes are used for coloring clothes, leather, and textiles. This form of dye releases amines – a compound derived from ammonia – that was found to increase the risk of bladder cancer. It has also been identified as a carcinogen in high levels, which has even led to the Australian governments banning the use of this chemical in clothing manufacturing. The best alternative to use would be products that utilize natural dyes. 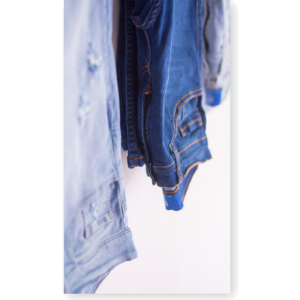 NPEs: Nonylphenol ethoxylates (NPEs) are a class of organic compounds found in the majority of our clothing. This chemical can build up on clothing and requires a full washing of the item to eliminate from the fabric. However, according to research this chemical can impact and effect sewage treatment plants and aquatic life. NPEs wash out through sewage treatment plants and into local water ways where it forms into NPs which are known endocrine disruptors to fish and humans. Formaldehyde: Formaldehyde is a dangerous chemical that is used to kill germs or preserve materials. This chemical is also used on fabrics to help reduce the appearance of wrinkles, or make it wrinkle-free. Those exposed to this chemical are likely to experience acute reactions, and those with chemical sensitivities can suffer symptoms such as headaches, aches and pains, fatigue, nausea, asthma, and breathing difficulties. Phthalates: Phthalates are endocrine disruptors that have been used to make fashion that uses plastic like shoes and gloves and in the decorative printing process. This chemical is also found in plastic raincoats, artificial leather, and waterproof clothing. Acrylic: The acrylic fabric contains dimethylformamide which the CDC has labeled as dangerous. When this chemical is directly in contact with the skin it can cause liver damage and other adverse health effects. Also, according to the EPA, this fabric is polycrylonitriles and may cause cancer. Can Chemicals on New Clothing Cause Allergies? Is your new sweater making you itch like crazy? Well, depending on the fiber or fabric of the clothing you may experience an allergic reaction or what is known as textile dermatitis. Often times the source of this reaction is from dyes or other chemicals found on new clothing. Formaldehyde, dyes, glues, and chemicals used to tan or create leather can spark a reaction for most individuals. The many distinguishable characteristics of chemical allergies can include redness, scaling, and itchiness. These symptoms may appear within hours of contact with the clothing or sometimes not till days later. Now that we know are clothing, particularly new clothing is full of toxic chemicals, do you think it is important to wash these fabrics before you wear them? According to the Wall Street Journal, because new clothing contains toxic chemicals that can lead to allergic reactions and illnesses, it is important to wash new clothes at least twice before you wear them. Some people will think to wash these toxic clothing with an effective laundry additive such as vinegar, baking soda, or borax to help eliminate the chemicals from the fabric, however, these additives fall extremely short in removing harsh and toxic chemicals from fabrics. Instead of using an ineffective laundry additive for chemical removal, look for a proven-effective chemical eliminating laundry enhancer. The EnviroKlenz Laundry Enhancer is just that and even more! 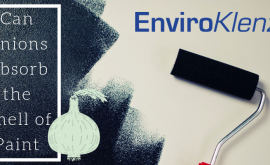 EnviroKlenz was specifically created for chemical and odor removal for those with severe sensitives to chemicals like those who struggle with MCS (Multiple Chemical Sensitivity). 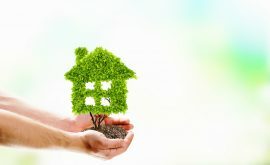 The technology is a revolutionary nontoxic formulation that is able to take in and break down chemicals and noxious odors without the use of chemicals or masking agents. 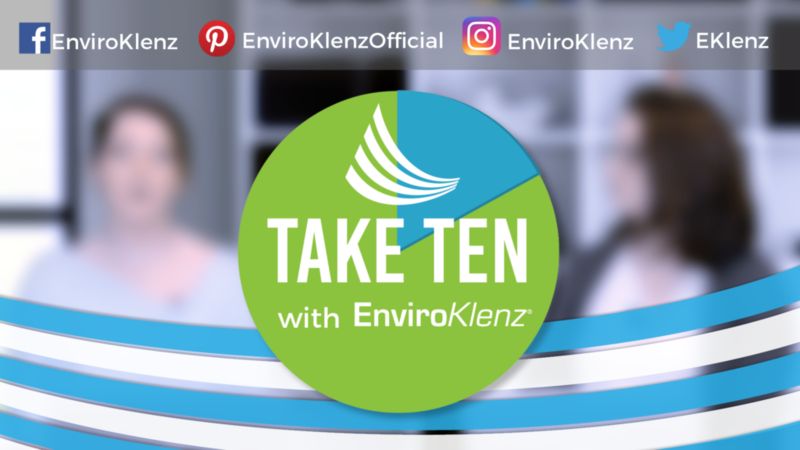 The simple application and effective solution makes the EnviroKlenz Laundry Enhancer perfect for chemical removal of new clothing chemicals. 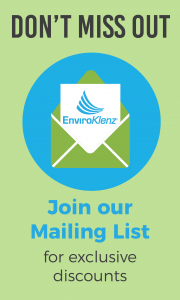 Join our mailing list to receive the latest news and updates from EnviroKlenz!